South Korean pension and savings funds are piling into short-term notes backed by time deposits at Chinese banks, lured by higher deposit rates from Chinese lenders and foreign currency gains, data from a local credit rating agency showed. According to Korean Ratings on August 5, South Korean brokerage companies had issued and sold 29 trillion won ($26 billion) worth of notes secured by time deposits at top five Chinese banks in the January-June period of this year, up 26% from the same period of last year. The tally matches the 29 trillion won of corporate bonds issued by companies in South Korea for the first six months of this year, based on data compiled by the Korea Financial Investment Association. The latest figures stoke market expectations that new issues of asset-backed commercial papers (ABCPs) based on Chinese banks’ term deposits may exceed corporate bond sales in South Korea for the whole of 2016 in volume. 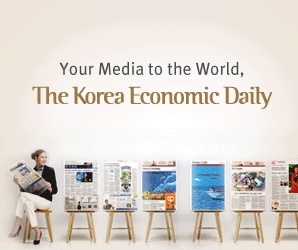 “Arbitrage opportunities in relation to foreign exchange markets has been one of driving factors for the rapid growth in the primary market of time deposits-backed securities since last year,” said Jaewoo Choi, an analyst of Korea Ratings’ structured finance ratings division. Plenty of short-term liquidity at South Korean institutions and aggressive marketing by Chinese banks to attract large-sum deposits were also attributed to the increase in the ABCP sales in South Korea. “Not only institutional investors such as pension and savings funds, but some big business groups are investing for the purpose of short-term money management,” said a local brokerage source handling ABCP sales. The securities are collateralized by foreign-currency time deposits placed with Chinese banks and allow the sale or purchase of the principal of the deposit products. Generally, South Korean brokerage firms deposit foreign currencies such as dollars or euros at domestic or foreign branches of Chinese banks, based on which they issue and sell ABCPs in the Korean won. Those products carry maturities of less than six months. South Korean pension and retirement savings funds, Korea Post and money market funds are major buyers of the ABCPs. The ABCP market for Chinese banks’ time deposits has been expanding at a rapid pace since 2013, as major Chinese banks offer slightly higher savings rates than South Korean counterparts. Last year, South Korean brokerages sold 47 trillion won worth of ABCPs based on Chinese banks’ time deposits, a whopping 80% spike from a year earlier. According to brokerage company sources in charge of currency swaps, Chinese banks offer about 1.4% interest a year for a three-month term deposit product when calculated in the Korean won, above the 0.9~1.2% paid by four major South Korean banks for the corresponding products. Also, currency hedging may result in additional profits, or premiums, depending on market conditions. .3 trillion won worth of time deposit-backed note issues in South Korea for the first six months of this year. China Construction Bank came next for 8.2 trillion won, followed by Bank of China for 6.8 trillion won. The volume of the time deposit-backed securities for Bank of Communications and Agricultural Bank of China stood at about 3 trillion won and 2 trillion won, respectively. Contrary to the buoyant ABCP market for Chinese banks’ time deposits, the South Korean corporate bond market has been shrinking. Cash-rick big conglomerates in the country are repaying bonds in the absence of new businesses to invest in, whereas ailing sectors or weak companies are unable to find buyers of new issues. New corporate bond issues in South Korea declined by 9% to 29 trillion won in the first half of this year, compared with 32 trillion won in the same period of last year, according to the Korea Financial Investment Association.